Last weekend, we launched a joint marketing campaign with purefood GmbH. purefood markets 100% natural organic frozen yogurt under the brand name Lycka. Their froyos are not only extremely tasty but consumers can also support a good cause as a fixed amount per pot sold is donated to Welthungerhilfe. 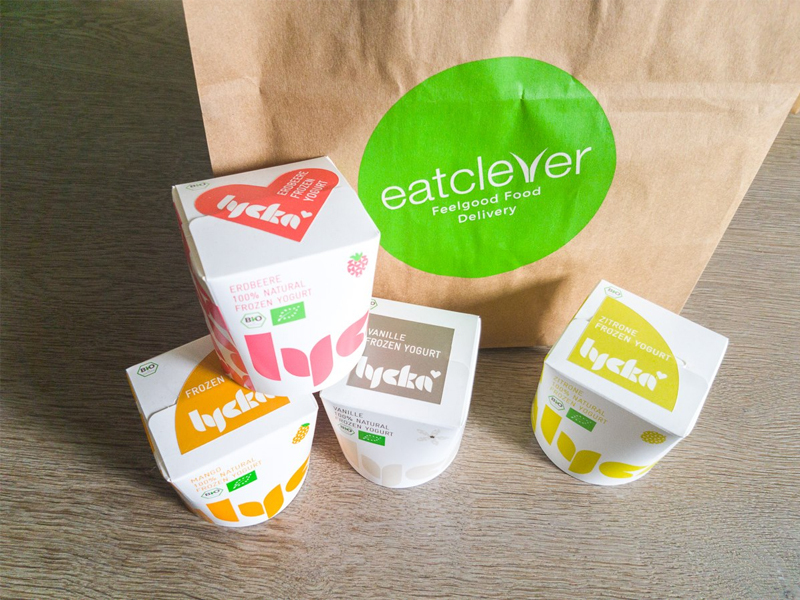 During the campaign, eatclever customers were offered a free Lycka frozen yogurt with each order. All customers had to do was enter a voucher code during their order and then decide on a frozen yogurt of their choice. The marketing campaign was very successful for both companies - not least due to the warm weather. Customers were offered a tasty and refreshing alternative to ice cream.